After reading the ever lovely Monet’s, of Anecdotes & Apple Cores, blog post on her strawberry poppyseed muffins, I knew that exactly what I was craving were a few good muffins of the poppyseed variety. 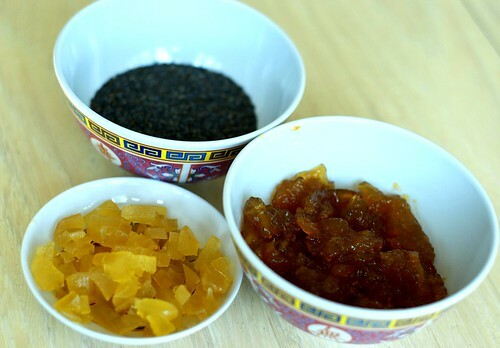 I got thinking about a couple of good combinations and finally came up with this: orange marmalade, stem ginger and poppyseed. Even better, I actually took photos of more than just the finished product this time! I KNOW. And they were just so pretty, too. These turned out pretty good for an experiment (Momma Lee ate three in one sitting!) – the ginger came through perhaps a little too strongly and the marmalade not quite enough, so what I ended up with were basically ginger poppyseed muffins, but that’s what experimentation’s all about, right? 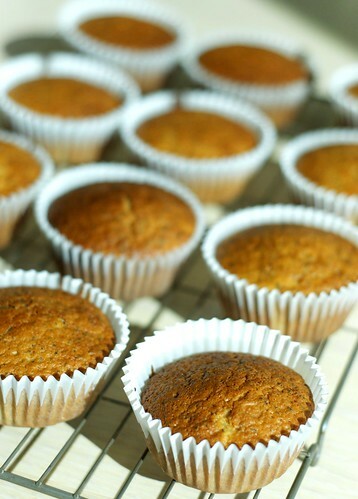 They baked up so beautifully light and moist too, which is definitely a winner in my book. Anyway, I’ve tweaked the recipe a little for you and I really hope you try it out. 1. 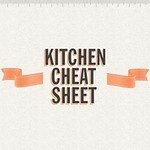 Preheat oven to 200 degrees C. Grease muffin pan or prepare muffin cups, if using. 2. 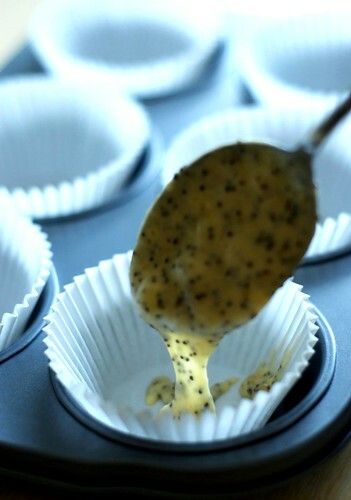 Combine the flour, sugar, baking powder, poppy seeds, orange rind and salt in a large mixing bowl. 3. In a smaller bowl put the beaten eggs, milk, marmalade and melted butter. Mix together with a fork. 4. Add the wet ingredients to the dry ingredients and stir quickly and lightly until just mixed. 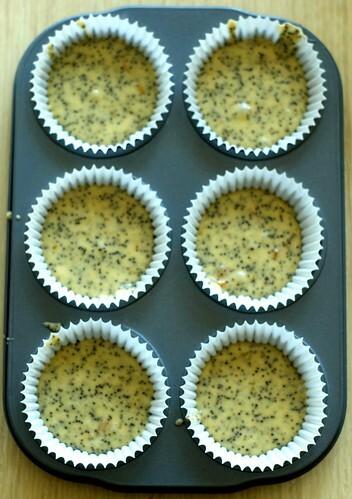 Fill greased muffin tins/muffin cups 2/3 full. 5. Bake in centre of preheated oven for 15-20 mins. Cool for 5 mins, then remove from pan and cool completely on wire racks. 6. Give yourself a pat on the back for an awesome job done – that is if your hands are free enough to do so thanks to cramming these babies into your mouth with the speed of a runaway freight train. I’ve got one more thing to share with you from yesterday’s epic cook-off, so until then – peace and love. those are magnificent muffins!! and your images are beautiful! You are so sweet! These muffins look great, and your pictures? INCREDIBLE. You are so creative. I love looking at your posts because I walk away inspired each time. Thanks sweet friend! Rita – when/if I'm in HK this Christmas I promise we'll have a Rita/Jackie day and I'll bake you (and Lil' SC!) some awesome tasties! 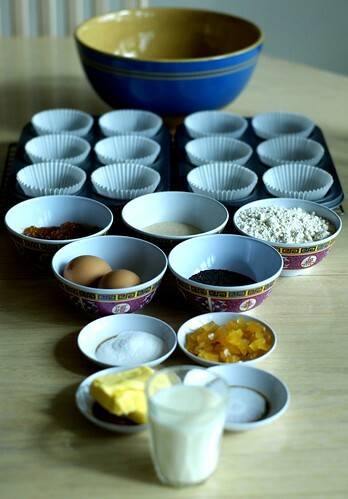 Monet – I should name these muffins after you since you inspired me to bake them! Thank you so much for your lovely comments!